Η Land Rover πήγε ένα νέο Range Rover Sport στο Κολοράντο όπου με αυτό έκανε νέο ρεκόρ ανάβασης με SUV στο Pikes Peak, αφού κάλυψε την απόσταση των 19,99 χλμ σε 12 λεπτά 35 δευτερόλεπτα και 61 εκατοστά, έχοντας μέση ωριαία ταχύτητα 95,23 χλμ/ώρα. Η θρυλική διαδρομή του Pikes Peak αποτελείται από 156 στροφές ξεκινώντας από τα 2.860 μέτρα υψόμετρο και τερματίζει στα 4.300 μέτρα. Στο ύψος αυτό, o αέρας περιέχει μόλις 58% οξυγόνο που σημαίνει πως η απόδοση του κινητήρα, αλλά και του ανθρώπου μειώνεται. Το ρεκόρ έγινε με ένα Range Rover Sport που φορούσε τον V8 κομπρεσοράτο κινητήρα 510 ίππων με τις μόνες αλλαγές που διέθετε το αυτοκίνητο σε σχέση με το αυτοκίνητο παραγωγής να ήταν το roll cage και οι ζώνες ασφαλείας έτσι ώστε να πληροί τα αγωνιστικά πρότυπα ασφάλειας. Πίσω από το τιμόνι του βρέθηκε ο 45-χρονος αμερικάνος οδηγός αγώνων Paul Dallenbach. 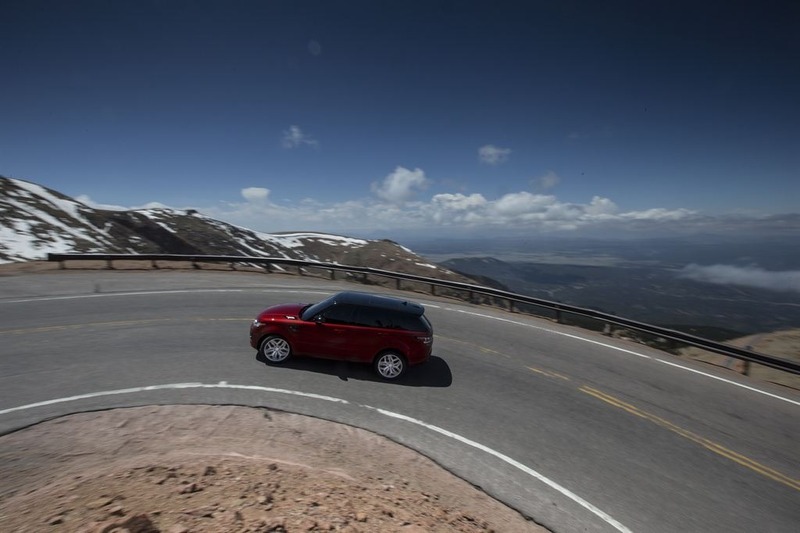 The transformational on-road dynamics of the Range Rover Sport conquers one of the world’s most unforgiving driving challenges. 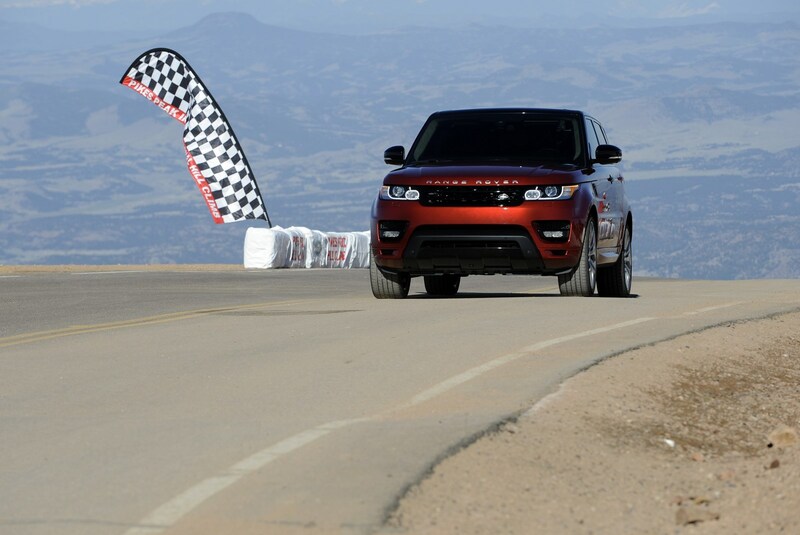 New hill climb record for production SUV set on 12.42-mile Colorado mountain’s hill road. 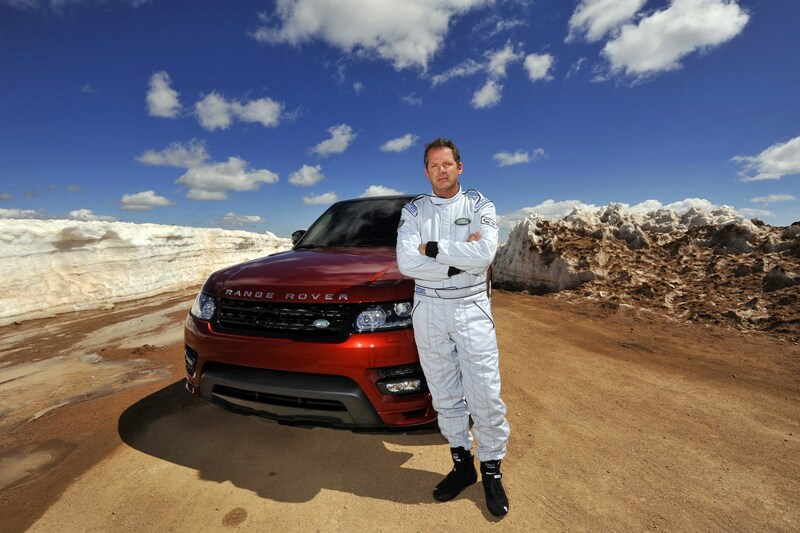 New record confirms the Range Rover Sport as Land Rover’s fastest, most responsive and agile vehicle to date. Short documentary film, the first in ‘The Driven Challenges’ series, will follow. 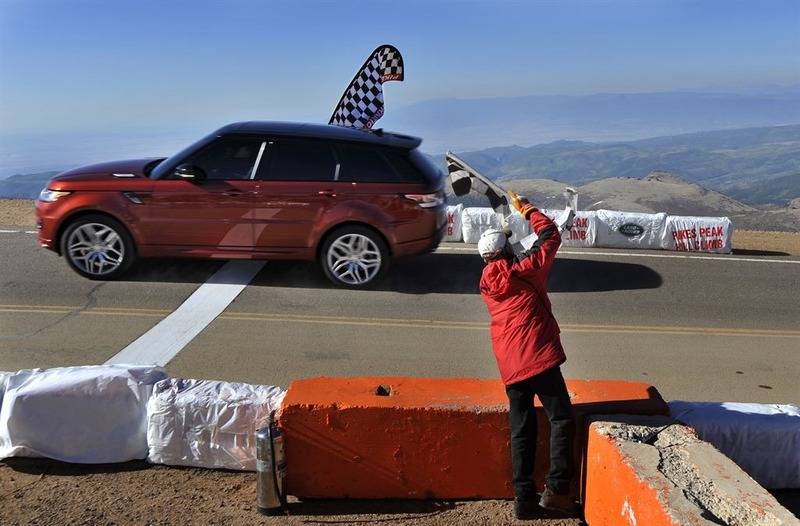 Pikes Peak, Colorado Springs, Colorado, USA, 7 June 2013 – The all-new Range Rover Sport yesterday established the record for a production-standard Sport Utility Vehicle and broke the long standing record for any kind of production-standard vehicle on the Pikes Pike International Hill Climb course, venue of the spectacular annual competition known as ‘The Race To the Clouds’. 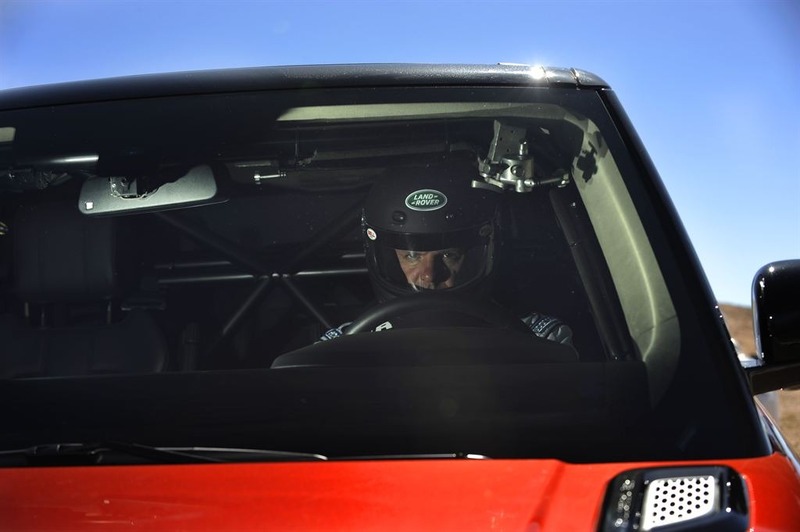 The Range Rover Sport rose to the challenge of the 12.42-mile asphalt course, powering its way from a standing start, in just 12 minutes 35.61 seconds – an average speed of 59.17 mph (95.23 km/h) on a snaking road that clings to the edge of the mountain with precipitous drops on one side and unyielding rock faces on the other. The record was independently timed and sanctioned by PPIHC (Pikes Peak International Hill Climb), organisers of the annual competition at the Colorado venue. 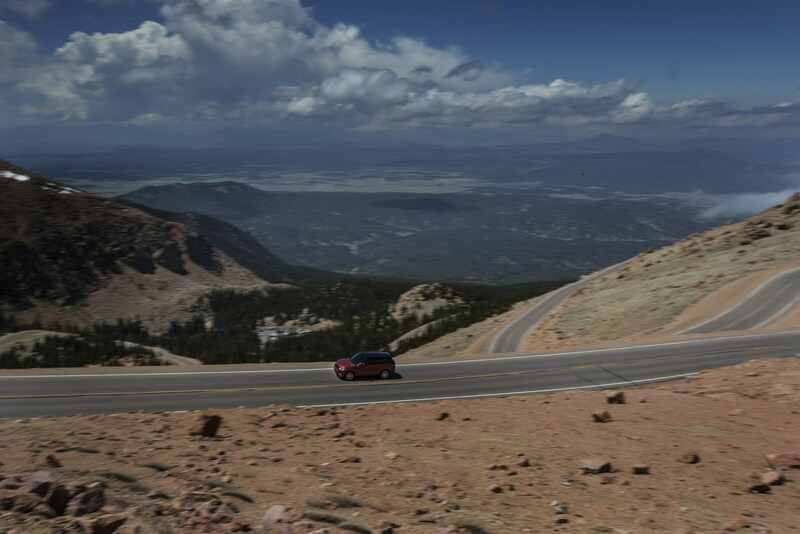 The Pikes Peak course goes through 156 corners as it ascends beyond the treeline from 9,390 feet (2,860m) above sea level to 14,110 feet (4,300m). At that altitude the air contains only 58% of the oxygen it does at sea level, diminishing engine performance and blunting human physical and mental performance. 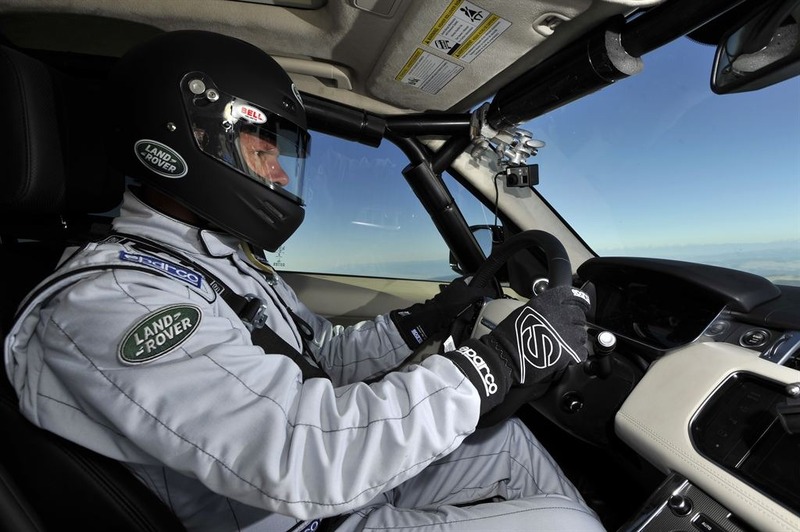 The new record was set by a Range Rover Sport with a 510PS 5.0-litre supercharged petrol V8 engine, the vehicle altered from production specification only in the fitment of a roll cage and harness seatbelts to meet racing safety requirements. 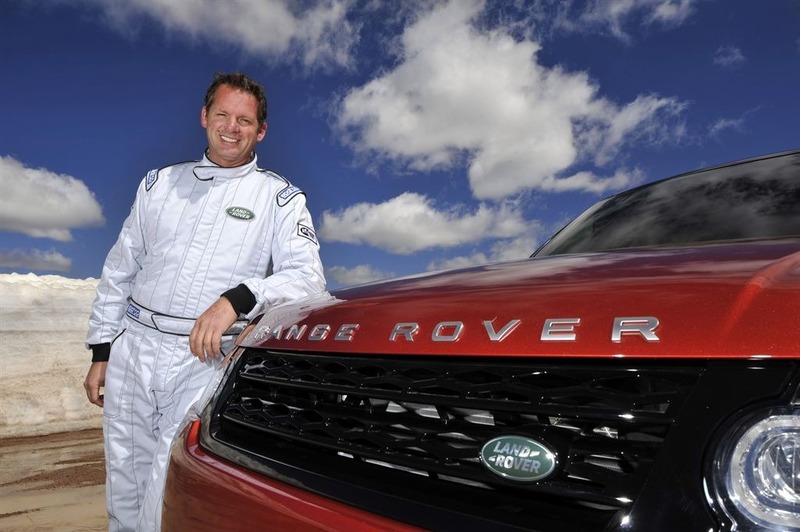 The Range Rover Sport was driven on the record run, by American competition and stunt driver Paul Dallenbach. Best known as a Pikes Peak specialist, Dallenbach, 45 years old, from Basalt in Colorado, has won his division at the Hill Climb six times and won the event outright three times. 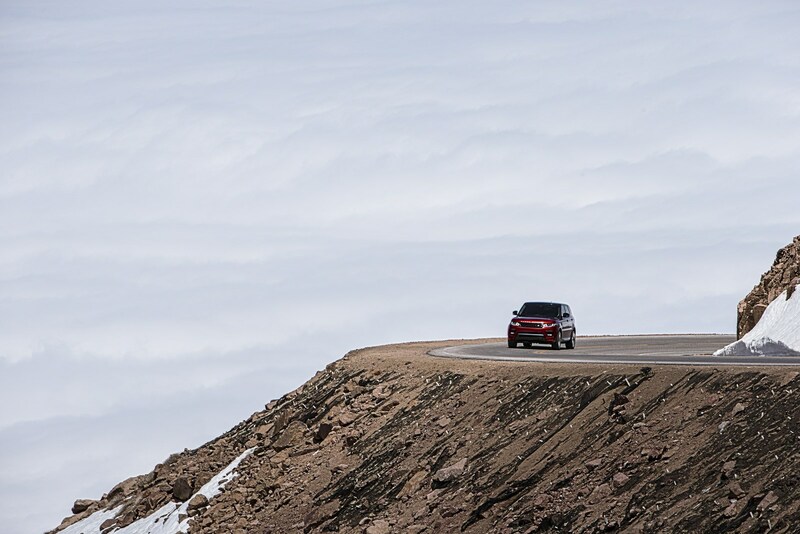 The Pikes Peak record run is the first of a series of global driving challenges to be taken-on by the all-new Range Rover Sport, pushing the vehicle to new limits in a series of the most punishing drives to be found on earth. 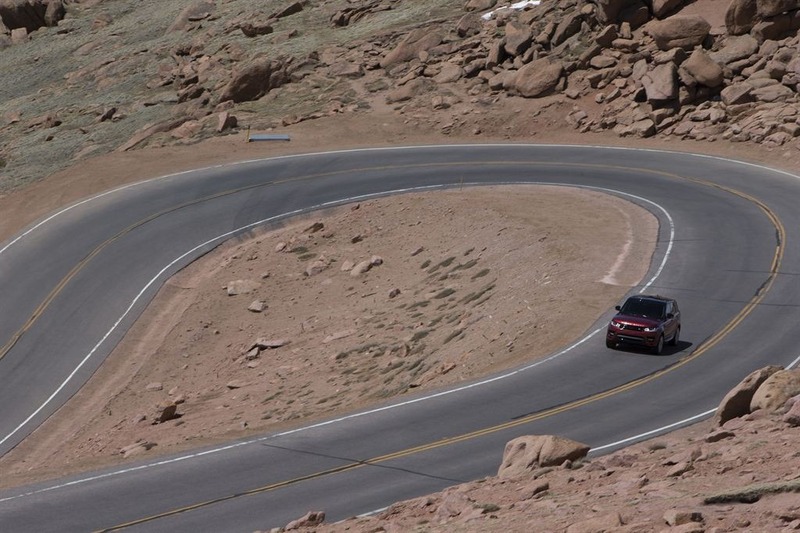 The Pikes Peak car and motorcycle hill climb competition is held annually on a 12.42-mile (19.99 km) section of the road that runs up to the summit of Pikes Peak mountain, 14 miles north-west of the town of Colorado Springs. The timed course starts at an altitude of 9,390 feet (2,860 metres) above sea level and rises 4,720 feet (1,440 metres) to 14,110 feet (4,300 metres). First run in 1916, Pikes Peak is the USA’s second-oldest motorsport event. 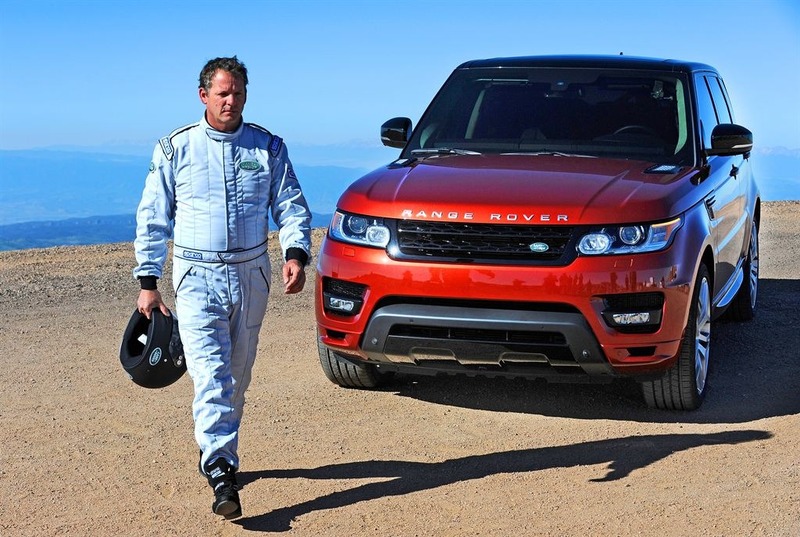 Some of America’s most famous racing drivers – Mario Andretti, Bobby Unser, Rick Mears, and Al Unser – have won the competition, as have internationally acclaimed rally drivers such as Michele Mouton, Ari Vatanen, Per Eklund and Stig Blomqvist. The current outright course record is 9 minutes 46.164 seconds, set by Rhys Millen last year in the Time Attack division in a production-based but radically modified Hyundai Genesis Coupe. Developed alongside the highly-acclaimed Range Rover, the all-new Range Rover Sport delivers the brand’s best-ever on-road dynamics together with class-leading, genuine Land Rover all-terrain capability, while presenting customers with a more assertive and muscular exterior, more luxurious interior and the flexibility provided by the option of occasional third row seating. Exploiting Land Rover’s breakthrough lightweight suspension design and innovative dynamic chassis technologies, the All-New Range Rover Sport’s first-in-class aluminium architecture achieves a weight saving of more than 420kg. Designed and engineered at Land Rover’s development centres in the UK, the new model will be produced in a state-of-the-art low-energy manufacturing facility at Solihull, UK.